If you're traveling to Germany or you live there, you'll probably need to use their railway service. 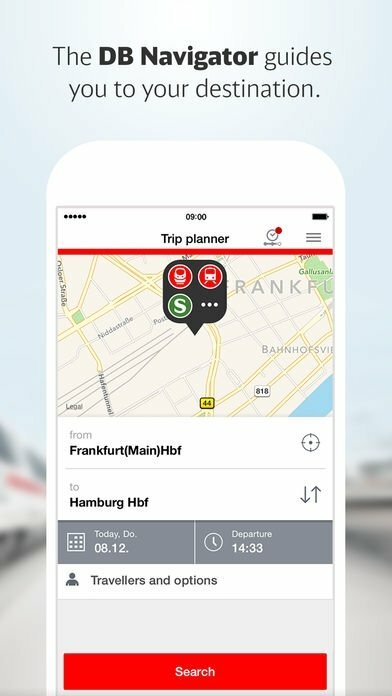 Then it's a great idea to download DB Navigator, the app developed by Deutsche Bahn that allows you to purchase train tickets to any destination and manage everything that has to do with your trip. It's a very functional application that lets the user purchase tickets in real time. With the latter, you'll be able to calculate routes and combinations amongst almost any station in the country, combining the services offered by different railway companies. 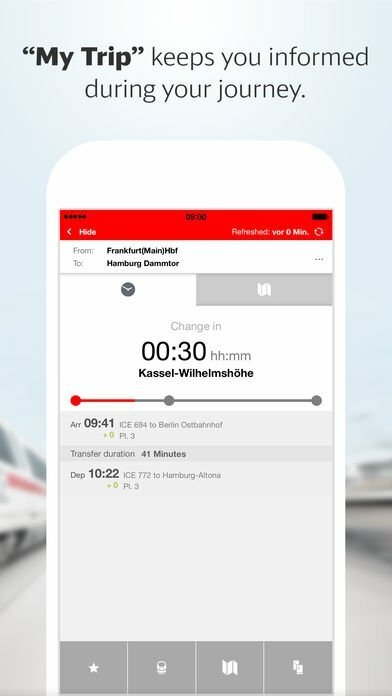 It offers all sorts of information such as timetables, types of trains, combinations with other transports... and with the possibility to find the cheapest tickets for the dates chosen by the user. Buy tickets at the best price available and receive all the information you need. Purchase your tickets straight from the app. 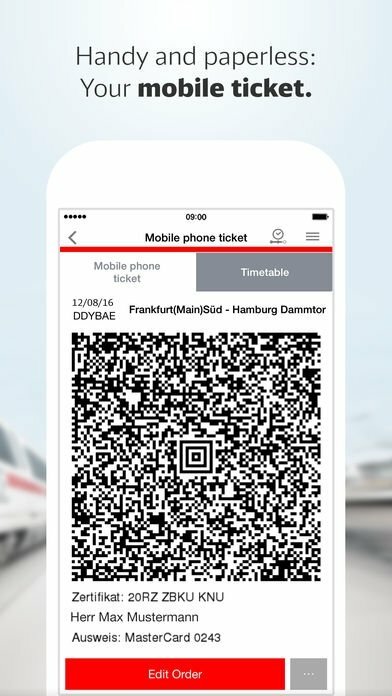 Save paper thanks to your electronic ticket: just show it in the app. Check all the details about your journey. Combine tickets from different regional transport services. Always find the cheapest prices. 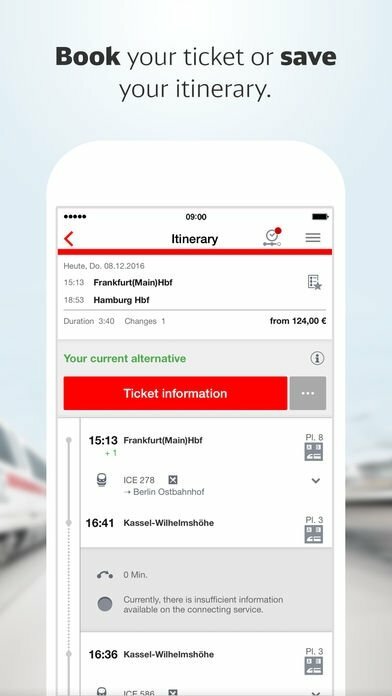 Save routes and tickets as favorites just in case you do the same journey again in order to save time. Choose and book specific seats. Find the nearest stop or station by means of your phone's GPS. Receive notifications about any incident in your journeys. By the way, there's also an Android version of this application in APK format, that has been translated into perfect English just like the version for iOS.